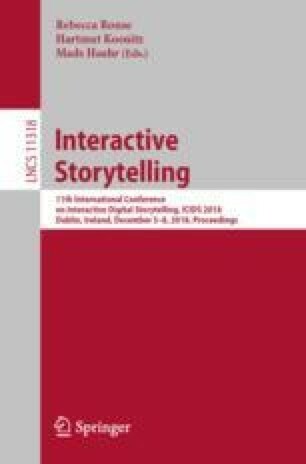 This paper presents arguments for the creation of an academic discipline concerned with the analysis and design of interactive digital narratives, akin to game studies. I analyse the status quo as the result of foundational aspects and the effects of the historical development of games studies before identifying a range of problems that have their root cause in the lack of an academic home and the support structures that come with it. In particular, the lack of a legitimizing framework translates into difficulties with academic recognition, reduced opportunities for grants and scholarships, scarcity of academic positions, and discontinuity of research which amounts to academic memory loss. In order to understand where the field stands, I apply three perspectives on requirements for an academic discipline from outside the field and come to the conclusion that while much progress has been made, there are areas in need of further attention, in particular when it comes to formal programs of study. Conversely, I identify the development of degree programs as an area needing particular attention in order to create an academic discipline.